FairLifts works with a global network of helicopter operators to schedule convenient and cost-effective transmission line construction services in remote and rugged areas of New Hampshire with minimal environmental impact. Our superior services include structure and pole placement, transport of vehicles, equipment, concrete and matting, structure framing, including changing cross-arms or davit arms and installing x-braces, knee braces and v-braces, hanging insulators and stringing blocks, pulling sock line, hard line, optical ground wire (OPGW) and shield wire, installing spacers, marker balls, bird discouragers and anti-galloping devices, and post-construction inspection services. We also provide solutions for un-clipping wire and hanging and stringing blocks, including tangent, angle, and double dead-end structures. Helicopter crews are effective in cutting out or covering shield wire sleeves, and can perform other shield wire repairs as well. Clipping in conductors and overhead wires via helicopter saves time and increases work efficiency. Lastly, FairLifts can schedule services to remove stringing blocks, including tangent, angle, and double dead-end structures, cutting out conductor sleeves and installing double socks. Though the state's energy consumption and per capita energy consumption are among the lowest in the US, New Hampshire is a leader in energy production. The Seabrook Station Nuclear Power Plant, located near Portsmouth, is the largest nuclear reactor in New England and supplies nearly 60 percent of New Hampshire's electricity. The rest is provided by two natural gas-fired plants and fossil-fuel powered plants, including the Merrimack Station coal plant in Bow. Given the state's cold temperatures in winter, New Hampshire relies heavily on heating oil. In terms of sustainable energy, the state obtained more of its electricity generation from wind power than from coal-fired power plants for the first time in 2016 with the trend continuing in 2017. New Hampshire's renewable portfolio standard will require that 25% of electricity sold in the state come from renewable energy resources by 2025. Failifts works with a global network of helicopter operators to provide transmission line construction solutions, such as site inspections, pole installations, and wire stringing, to the energy industry in New Hampshire. FairLifts offers additional services, such as work crew and equipment transport to remote sites, and heavy lifts for hardware and machinery. Read on to learn more. FairLifts schedules heavy lift helicopters with the capacity to carry more than 9,000 lbs, which exceeds the requirements for construction projects or lift operations. Our network of operators guarantees safety standards and affordable solutions that keep projects up and running. 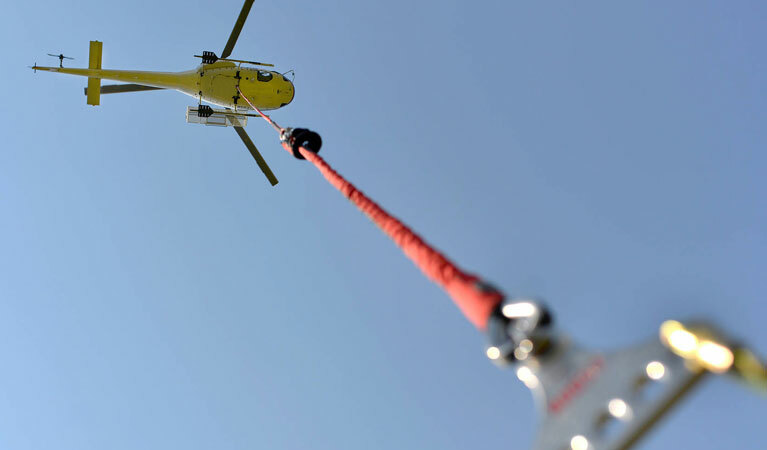 Lift solutions include light to heavy helicopters, and aerial crane services for the transport and placement of heavy elements with minimal environmental impact. FairLifts schedules helicopters helicopters for expert wire stringing solutions as well as the installation of primary conductors onto transmission line structures, including the installation of conductors, ground wire, insulators, stringing sheaves, rollers or travelers, vibration dampeners, weights, suspension and dead-end hardware assemblies along the entire length of the project. FairLifts schedules helicopters for superior utility pole installation, allowing crews to access remote or rugged areas with minimal environmental impact. Composite poles, which have a greater strength/weight ratio than traditional wood poles, need helicopter lifts to provide the strength necessary for installation in remote areas. 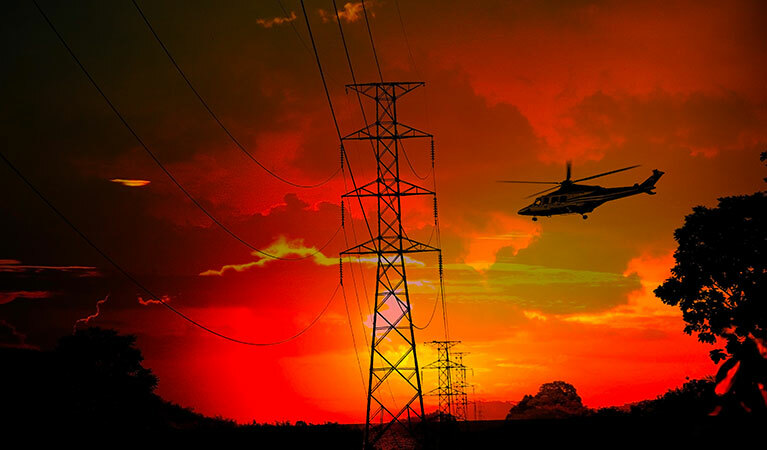 FairLifts schedules helicopter ROW and site inspection of power transmission lines through infrared thermographic inspection of power lines, precisely pinpointing transmission line irregularities. Additional inspection services include corona measurement with new generation technology to detect corona interference in high-voltage transmission lines. FairLifts schedules first-rate logistical helicopter transport for transmission line construction projects in New Hampshire, including transport of equipment and materials, driving caissons, steel placement, and tower erection. An expert crew of helicopter pilots ensures skilled transport to remote and rugged terrains in New Hampshire. We guarantee first-rate transmission line construction solutions in New Hampshire. FairLifts knowledgeable account managers are available 24/7 to provide information about New Hampshire transmission line construction services. 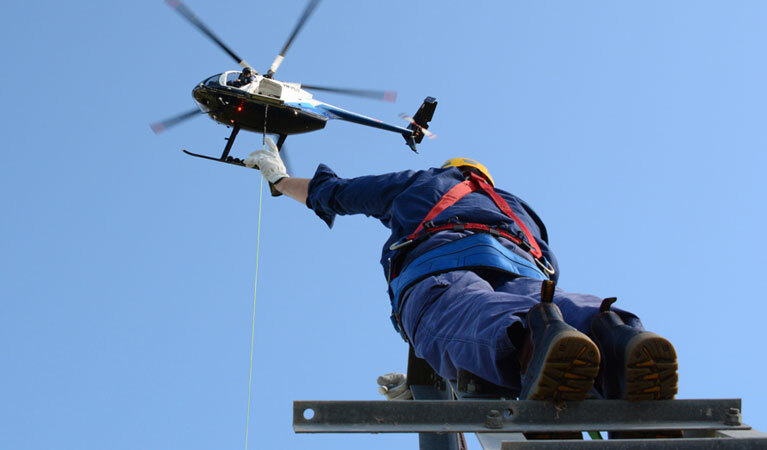 A global network of expert transmission and lineman helicopter operators guarantee timely and cost-effective solutions to your transmission line construction needs.